There is a critical time period that many recruiters and hiring managers take for granted: the period between the candidate signing the offer letter and their first day in the office. Whether the hiring manager is just inexperienced, or the recruiter is looking to maximize profits, all to often this crucial time period is neglected. It is vital that this two-week gap is skillfully managed. The first step? Be pre-emptive and coach the candidate on how to resign from their current position. 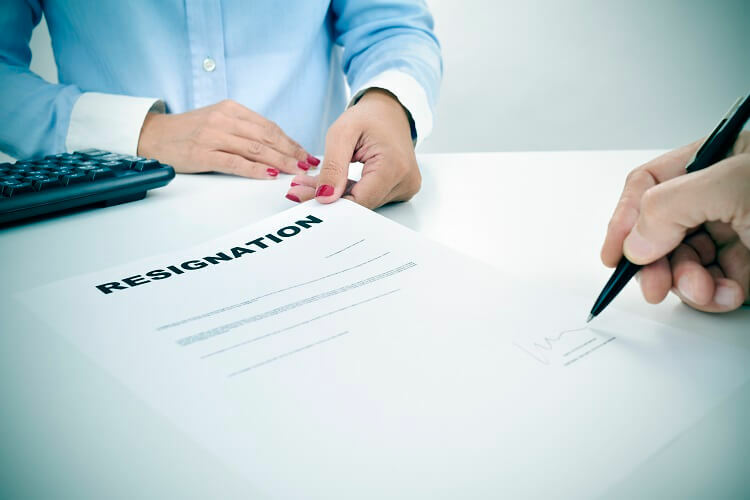 Resigning is usually a tough thing to do and it can be uncomfortable, especially if they are close with their manager. Coaching for resignation is similar to preparing for an interview, it’s crucial. Send the candidate a template resignation letter that they can use, and follow up with them after they have talked with their boss to see how it went and mitigate any feelings of guilt and negativity. Ideally you’ve done all the pre-work to prevent the candidate from discussing a counteroffer but it doesn’t stop the employer from making one. If they have, it is crucial to make sure they understand that a majority of employees who receive a counteroffer are let go within one year. A counteroffer simply buys the former employer time to find someone to fill the position OR the candidate will find that the underlying issues that caused them to look in the first place haven’t improved. Counter offers are a temporary solution to a long-term problem but that is an entirely different blog post. Check in at least once a week to keep communication consistent and ensure all concerns and questions are addressed before the candidate steps into the office. Make sure they have all of the information they need to finish any drug or background tests as well as pre-employment paperwork. If you’re the HR or hiring manager at the company, be sure to call the candidate yourself (especially if you’ve been working with a recruiter) to welcome them onto the team and ensure they’re comfortable and excited to start their new position. Even after the candidate’s first day on the job, follow up must persist. A recruiter should schedule multiple follow-up calls with the candidate. Internal hiring managers should also regularly check in to see how things are going. Typically, I recommend checking in after one week, 45 days and 90 days. This is the perfect opportunity to ensure a good fit has been made and to make sure the candidate is enjoying the position or if need be address any problems. The 90 day mark is also a great time to begin asking for referrals from those candidates who have had a positive experience.